While Nigerians are yet to come to terms with the death of a football fan Kolade Johnson by a police inspector Olalekan Ogunyemi in Mangoro area of Lagos, the killing of a yet another young Nigerian has caused uproar. 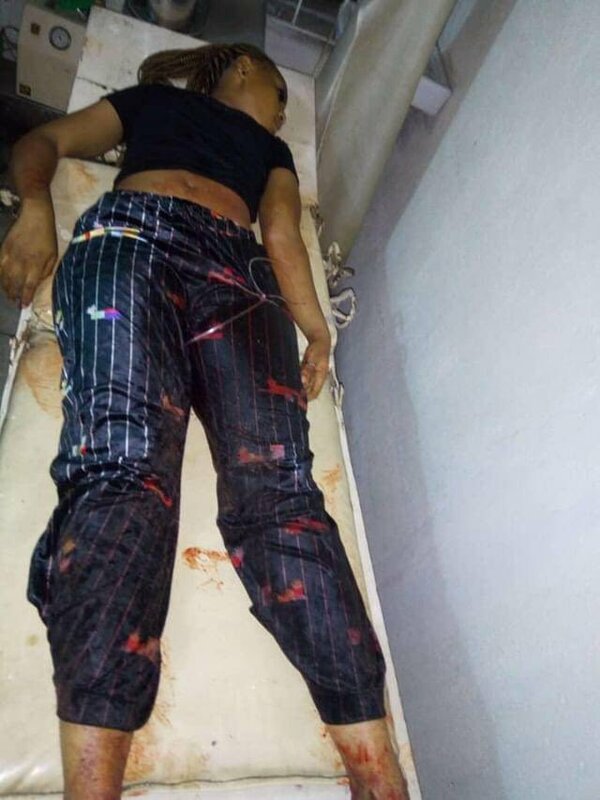 The Nigerian police shot two young lovers identified as Ada Ifeanyi and Emanuel Akomafuwa on their way from night club in Olodi Apapa, Apapa, Lagos on Saturday morning. One of the policemen waved down the driver Akonmafuna who refused to stop immediately and was chased down by the men in uniform who opened fire on them. According to a twitter handle who first disclosed the incident, Sega L’eveilleur, a member of the Social Intervention Advocacy Foundation said “Just yesterday we received a report of indiscriminate pursuit and shooting of two individuals coming from a club. Policemen from Trinity police station Ajegunle shot at them. The 20-year-old girl died on the spot, while the young man is hospitalized in dire condition. He added “Society MUST stand against armed robbers and kidnappers. Any police squad in illegal duty must never be obeyed. Any police officer that demands for your phone have already shown he is acting outside the law. Society must respond and resist. You are not breaking any law. “Police the world over are meant to protect lives and properties. Ours have chosen to take lives, abduct citizens arbitrarily and rob them at gunpoint. This is armed robbery/kidnapping and society must do the needful or keep losing our youth. This is the only language that works! Meanwhile, The CP has responded swiftly to this incident and made arrests of the officers involved in the shooting in Ajegunle that claimed the life of one and hospitalized another. He vowed to ensure the prosecution of these officers as deterrent to would be offenders. The Social Intervention Advocacy Foundation has demanded that arresting the killer officers is no longer enough as the senior officers sending the rank and file policemen are left unchecked. “When Kolade Johnson was murdered, the policemen arrested the shooter and charged him to court for murder. But we at SIAF said this is not enough. No police officer/squad can carry out a raid without approval of superior officers. The officers in charge must be brought in also. “The police officers killing innocent citizens are under double pressure. They are victims too even though this does not excuse their actions. Their salaries are being stolen by the welfare department through unjust deductions and they can’t even protest because of regimentation. “Officers that has been delivering get security Of posting, promotion and even less deductions in salary. So the murderous thugs you see out there are fighting for their own survival too at your expense. The time shut down the madness is now! Arrest the superior officers too! ” it demanded.